So I know I've been majorly MIA lately. This is just a quick note to say that I will try to get some real posts up soon! We've been very, very busy; school not being the least of my concerns. :) Our family has gone through some difficult times as well, and I've been working through some sticky growing-up sort of stuff. Anyway, all this to say that I have not forgotten about my blog, and hope to be back soon! 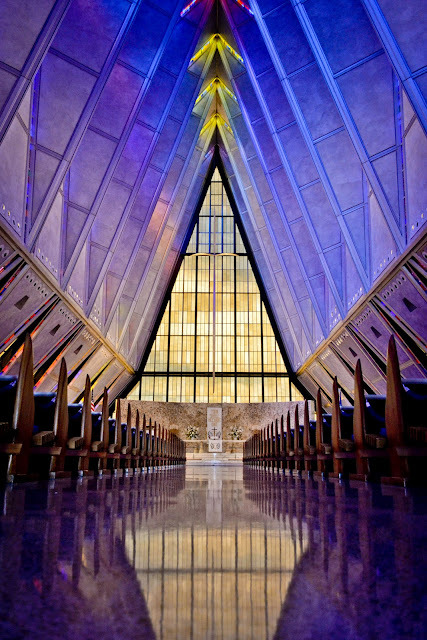 I shall leave you with this shot I took of the Chapel at the Air Force Academy that we visited recently. I wouldn't mind going to church here every Sunday! :) Have a blessed week, everyone!